AR Canada is a fully automated Expert Advisor. 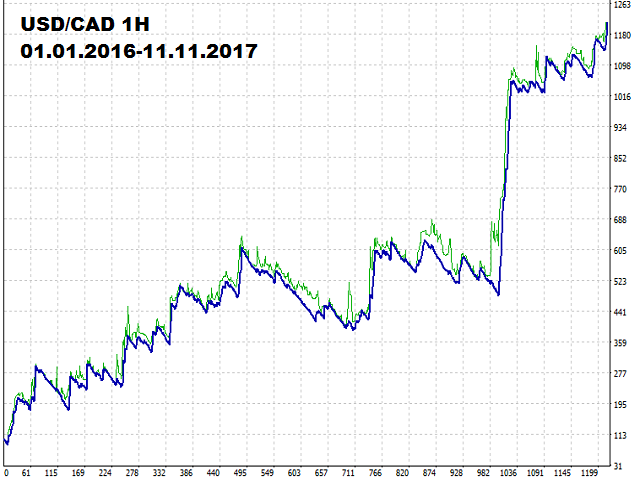 It does not require any adjustments and is optimized for trading USDCAD H1. The product is a free version. It trades only using a fixed lot with the minimum volume. It uses a trading algorithm based on the intersection of two moving averages for analyzing the market conditions, as well as support and resistance levels. The Take Profit and Stop Loss values are fixed. They are different for each trade signal type. The EA closes positions when Take Profit or Stop Loss are reached.